Steven Koltai created and ran the Global Entrepreneurship Program for Secretary of State Hillary Clinton, a central element of President Obama’s strategy for changing the relationship between the U.S. and Muslim communities around the world. He left the State Department to continue the work of global entrepreneurship ecosystem building via Koltai & Company. Steven is currently a Guest Scholar at the Brookings Institution. 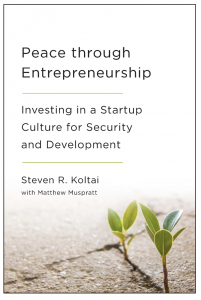 He is the author, most recently, of Peace Through Entrepreneurship: Investing in a Startup Culture for Security and Development [Brookings Institute Press, 2016]. Vice President for Strategy and Corporate Development at Warner Bros., as a strategic planning consultant at McKinsey & Co., and as an investment banker at Salomon Bros. Steven is an active angel investor and mentor to entrepreneurs around the world. 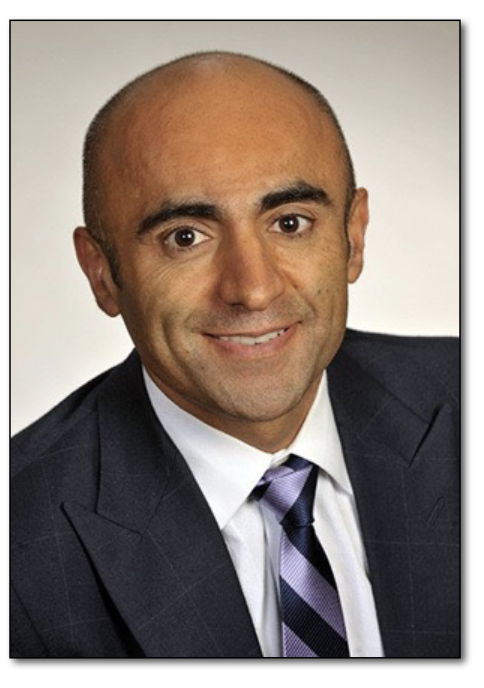 Soner Cagaptay is the Beyer Family fellow and director of the Turkish Research Program at The Washington Institute. He has written extensively on U.S.-Turkish relations, Turkish domestic politics, and Turkish nationalism, publishing in scholarly journals and major international print media, including the Wall Street Journal, Washington Times, Washington Post, Los Angeles Times, International Herald Tribune, Habertürk and Jane’s Defense Weekly. He is a regular columnist for Hürriyet Daily News, Turkey’s oldest and most influential English-language paper, and a contributor to CNN’s Global Public Square blog. He appears regularly on Fox News, CNN, NPR, Voice of America, al-Jazeera, BBC, CNN-Turk and al-Hurra. A historian by training, Dr. Cagaptay wrote his doctoral dissertation at Yale University (2003) on Turkish nationalism. Dr. Cagaptay has taught courses at Yale and Princeton on the Middle East, Mediterranean, and Eastern Europe. His spring 2003 course on modern Turkish history was the first offered by Yale in three decades. 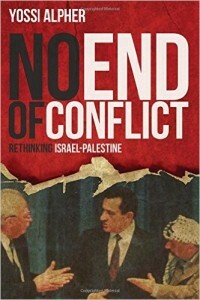 From 2006-2007, he was Ertegun Professor at Princeton University’s Department of Near Eastern Studies. He also served as a visiting professor at Georgetown University’s School of Foreign Service. Dr. Cagaptay is the recipient of numerous honors, grants, and chairs, among them the Smith-Richardson, Mellon, Rice, and Leylan fellowships, as well as the Ertegun chair at Princeton. He also served as chair of the Turkey Advanced Area Studies Program at the State Department’s Foreign Service Institute. In 2012, Dr.Cagaptay was named an American Turkish Society Young Society Leader. He is the author of the book Islam, Secularism, and Nationalism in Modern Turkey: Who is a Turk? (2006) as well as the forthcoming book Turkey Rising: The 21st Century’s First Muslim Power (2014). The opinions expressed in this website are not necessarily those of The Washington Institute for Near East Policy, its Board of Trustees, or its Board of Advisors. Joshua Landis is Director of the Center for Middle East Studies and Associate Professor at the University of Oklahoma’s College of international Studies. He writes “Syria Comment,” a daily newsletter on Syrian politics that attracts over 100,000 readers a month. Dr. Landis travels frequently to Washington DC to consult with government agencies and speak at think tanks. Most recently he has spoken at the Woodrow Wilson Institute, Brookings Institute, USIP, Middle East Institute, and Council on Foreign Relations. He was educated at Swarthmore (BA), Harvard (MA), and Princeton (PhD). 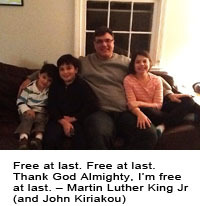 He has lived over 14 years in the Middle East and speaks Arabic and French fluently. He has lived four years in Syria, and spent most summers in Damascus until the revolution began. Paulo Sotero is the director of the Brazil Institute of the Woodrow Wilson International Center for Scholars. An award winning journalist, from 1989 to 2006 he was the Washington correspondent for Estado de S.Paulo, a leading Brazilian daily newspaper. Sotero began his career at Veja in the late 1960s and worked for the magazine in São Paulo, Recife, Brasília, and Paris, until he was named its correspondent in Portugal after the democratic revolution of April 25, 1974. Sotero has been in Washington, D.C., since 1980, where he has been a correspondent for Istoé weekly magazine and the financial newspaper Gazeta Mecantil. He is a frequent guest commentator for the BBC, CNN, AlJazeera, Voice of America, National Public Radio, Globo News Television and the Brazilian Radio Network – CBN. He also contributes regularly to Brazilian and international newspapers, magazines, and scholarly journals. A native of the state of São Paulo, Sotero holds a Bachelor’s degree in History from the Catholic University of Pernambuco, and a Master’s in Journalism and Public Affairs from the American University, in Washington, D.C. He has been an adjunct lecturer at the Edmund A. Walsh School of Foreign Service, Georgetown University, and is currently on the adjunct faculty of the Elliott School of International Affairs, George Washington University. 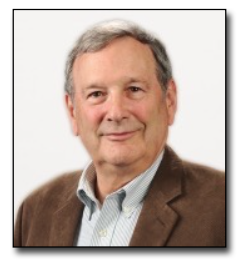 Ambassador Steven E. Steiner is the gender advisor for the U.S. Institute of Peace. He previously served in the Department of State’s Office of Global Women‘s Issues and the Office to Monitor and Combat Trafficking in Persons. He also was the director of the Department’s Iraqi Women’s Democracy Initiative. Steiner served for 36 years in the United States Foreign Service. He completed tours of duty at the U.S. embassy in Moscow and the State Department’s Offices of Soviet Union and West German Affairs and served as the deputy director of the Department’s Operations Center, its 24-hour crisis management facility. He served from 1983 to 1988 as director of Defense Programs on the National Security Council Staff. He was named by President Reagan as the U.S. representative to the Special Verification Commission, the implementing body for the Intermediate-Range Nuclear Forces Treaty (INF), and was named by President Bush in September 1991 to serve as the U.S. Representative to the Joint Compliance and Inspection Commission, the implementing body for the Strategic Arms Reduction Treaty (START). Ambassador Steiner received the Secretary of State’s Distinguished Service Award in 2002, Presidential Meritorious Service Awards in 1990 and 1992, and the Arms Control and Disarmament Agency’s Superior Honor Award in 1993. 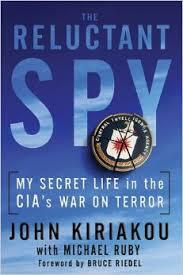 In May 1983, he received the Department of State’s Superior Honor Award for his work on European security issues. Born in Pennsylvania, Steiner received a B.A. in Political Science from Yale University in 1963 and a Master’s Degree in international relations from Columbia University in 1966. He is a member of The Council on Foreign Relations, The Washington Institute on Foreign Affairs, and the U.S.-Afghan Women’s Council, and he serves on the Board of the Council for a Community of Democracies. Click on the play arrow below to listen to this presentation now. You may need to click twice on the arrow to start the audio. If you prefer to download the MP3 audio file to your computer for later listening, click here (or right click then "Save Target As" or "Save Link As"). Please note that the downloadable file will be quite large and may take a long time to download depending on the speed of your connection to the internet. Professor Paul Pillar retired in 2005 from a 28-year career in the U.S. intelligence community, in which his last position was National Intelligence Officer for the Near East and South Asia. Earlier he served in a variety of analytical and managerial positions, including as chief of analytic units at the CIA covering portions of the Near East, the Persian Gulf, and South Asia. Professor Pillar also served in the National Intelligence Council as one of the original members of its Analytic Group. He has been Executive Assistant to CIA’s Deputy Director for Intelligence and Executive Assistant to Director of Central Intelligence William Webster. He has also headed the Assessments and Information Group of the DCI Counterterrorist Center, and from 1997 to 1999 was deputy chief of the center. 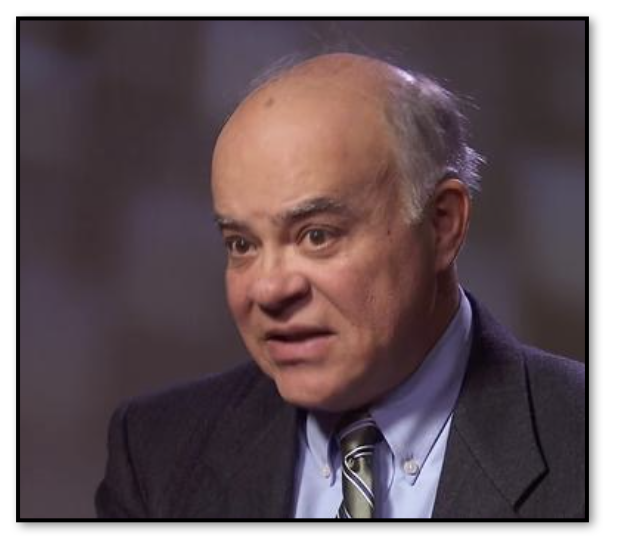 He was a Federal Executive Fellow at the Brookings Institution in 1999-2000. Professor Pillar is a retired officer in the U.S. Army Reserve and served on active duty in 1971-1973, including a tour of duty in Vietnam. Professor Pillar is now a non-resident senior fellow at Georgetown University‘s Center for Security Studies, as well as a nonresident senior fellow in the Brookings Institution‘s Center for 21st Century Security and Intelligence. 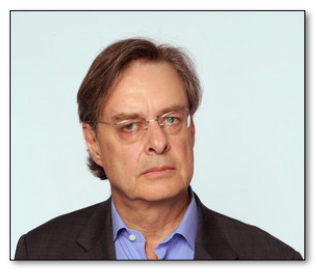 He was a visiting professor at Georgetown University from 2005 to 2012. He is a contributor to The National Interest. 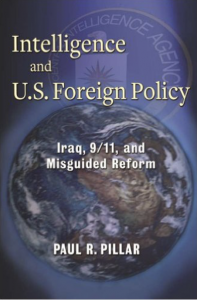 Paul Pillar is the author of three books on US policy and intelligence including the 2011 book, Intelligence and U.S. Foreign Policy: Iraq, 9/11, and Misguided Reform. 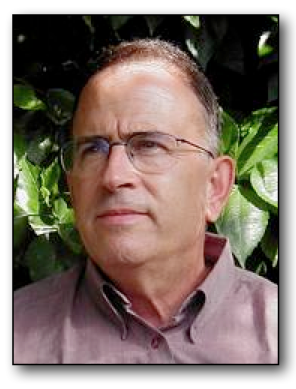 Yossi Alpher is an independent security analyst. 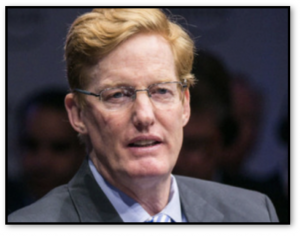 He is the former director of the Jaffee Center for Strategic Studies at Tel Aviv University, a former senior official with the Mossad, and a former IDF intelligence officer. 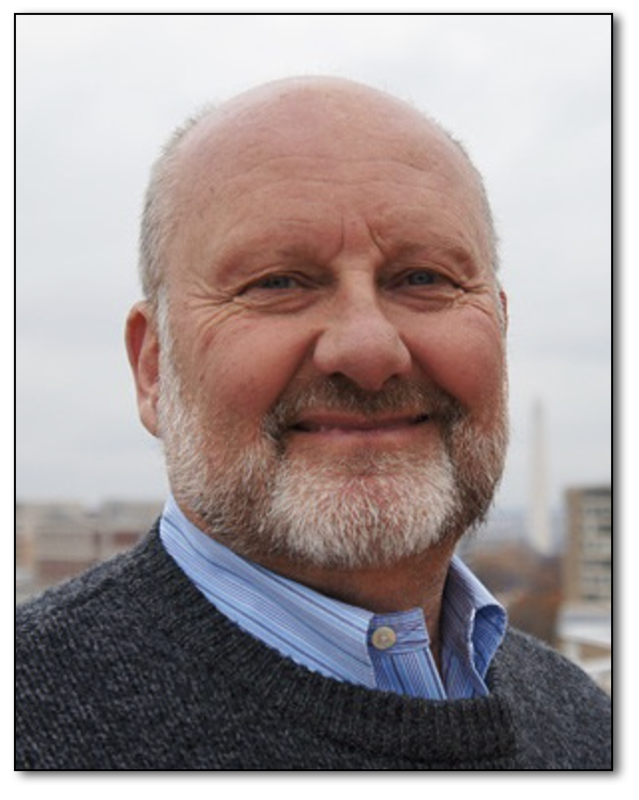 Alpher writes Hard Questions, Tough Answers, a weekly security Q&A for Americans for Peace Now, and The Strategic Interest, a monthly column for The Forward, for which he won the 2009 American Jewish Press Association Simon Rockower Award (first place) for excellence in commentary. Until recently he co-edited bitterlemons.net. 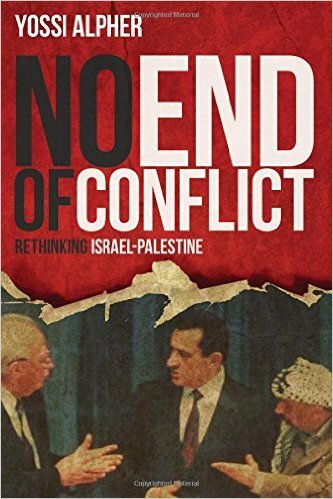 He is the author of No End of Conflict: Rethinking Israel-Palestine (April 2016, Rowman & Littlefield, USA). Dr. Oscar Guardiola-Rivera joined the University of London’s Birkbeck School of Law in 2005. He is now Assistant Dean of the School of Law, and collaborates with the Birkbeck Institute for the Humanities. 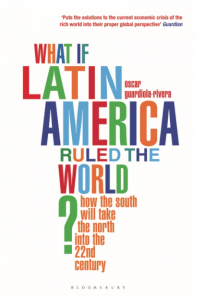 He is the writer of the award-winning What If Latin America Ruled the World? (Bloomsbury, 2010), chosen as one the best non-fiction books that year by The Financial Times and reviewed in The Washington Post, The Sunday Times, The Guardian, BBC Radio 4 Start the Week, with Andrew Marr, Al-Jazeera’s The Riz Khan Show, Folha de Sao Paulo, and other major newspapers and media around the world. 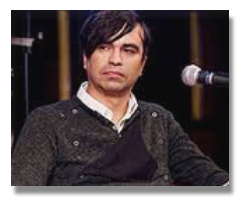 He has published in Granta, is a weekly columnist of El Espectador (COL), and a frequent contributor to the BBC World Service Nightwaves, The Stream, Monocle Radio 24, NTN 24, and Al-Jazeera, among others. He has been invited to take part in the Hay Festivals (Wales, Colombia, Lebanon and Mexico), and contributed as a curator and a speaker with the Serpentine Gallery, Southbank Centre, Intelligence Squared, Tate Modern, Pen International, and Colombiage. Born in Colombia, he was educated in that country and in Great Britain. He graduated as a lawyer in Bogotá (Universidad Javeriana, 1993) after leading the Student Movement that initiated the 1990’s wave of constitutional reform throughout Latin America, and obtained his LLM with Distinction at University College London, and his PhD in Philosophy at the King’s College of the University of Aberdeen. He is on the editorial boards of Naked Punch: An Engaged Review of Arts & Theory; International Law. Colombian Journal of International Law; Universitas. Xavier University Law Review, (COL); and Open Law Journal and is on the advisory board of the Law, Social Justice & Global Development Journal, and is recognised as one of the most representative voices of contemporary Latin American philosophy and literature. In 26 years with The New York Times, Mr. Smith covered Martin Luther King Jr and the civil rights struggle, the Vietnam War in Saigon, the Middle East conflict from Cairo, the Cold War from both Moscow and Washington, and six American presidents and their administrations. In 1971, as chief diplomatic correspondent, he was a member of the Pulitzer Prize-winning team that produced the Pentagon Papersseries. In 1974, he won the Pulitzer Prize for International Reporting from Russia and Eastern Europe. His book The Russians, based on his years as New York Times Moscow Bureau Chief from 1971-74, was a No. 1 American best-seller. It has been translated into 16 languages and has been widely used in university and college courses. His next book, The Power Game: How Washington Works, was also a major best-seller. It became a bible for newly elected members of Congress and their staffs and was bedside reading for President Clinton. His newest book, Who Stole the American Dream? published by Random House in September 2012 , has been hailed by critics for brilliant analsysis of political and economic trends and changes in the U.S. over the past 30-40 years. For PBS since 1989, Hedrick Smith has created 26 prime-time specials and mini-series on such varied topics as terrorism, Wall Street, Soviet perestroika,Wal-Mart, Enron, tax evasion, educational reform, health care, the environment, jazz greats Duke Ellington and Dave Brubeck, and Washington’s power game. Mr. Smith’s documentary work has won many of televisions major awards. Two of his Frontline programs, The Wall Street Fix and Can You Afford to Retire? won Emmies and two others, Critical Condition and Tax Me If You Can were nominated. Twice he has won or shared the Columbia-Dupont Gold Baton, or grand prize, for the year’s best public affairs program on U.S. television – for Inside Gorbachev’s USSR in 1990, and for Inside the Terror Network in 2002, an investigation of the Al Qaeda pilots who carried out the 9/11 attack and how the U.S. missed chances to stop them. Along with the George Polk, George Peabody and Sidney Hillman awards for reportorial excellence, his programs have won two national public service awards. One distinctive feature of Hedrick Smith’s television productions is his focus not just on examining systemic problems in modern America but on seeking solutions, which was the title of his mini-series on teen violence and hate crime, used by the Justice Department and members of Congress. His PBS reports have probed the costs and causes of poor health care, failures in education, the collapse of traditional pensions and the flaws of 401k plans, and the modern burdens of working couples juggling work and family. He couples that analysis with vivd grass roots success stories, giving audiences concrete examples of how others have confronted and overcome obstacles. Mr. Smith’s career began in print journalism in the 1950s, with summer jobs as a cub reporter for The Greenville (S.C.) News. After graduating from Williams College, doing graduate work as a Fulbright Scholar at Oxford University, and serving three years in the U.S. Air Force, Mr. Smith joined United Press International in Memphis, Nashville and Atlanta, 1959-62. He moved to The New York Times, 1962-88. 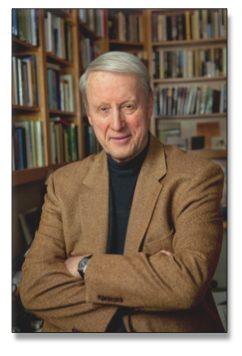 He was chosen for a prestigious Nieman Fellowship at Harvard in 1969-70. Mr. Smith began creating documentaries for PBS in 1989 with an adaptation from his best-selling book, The Power Game. His second documentary series, Inside Gorbachev’s USSR, broadcast on PBS in 1990, built on his experience as Moscow Bureau Chief for The Times in the 1970s, on his best selling book, The Russians, and on his subsequent coverage of Mikhail Gorbachev’s perestroika. As a documentarian, Mr. Smith has ranged widely. Before the 2000 election, PBS devoted an entire prime-time evening to his three-hour pre-election special on the quality of U.S. health care, Critical Condition With Hedrick Smith. He has produced two four-hour mini-series on the impact of the global economy on the American middle class, Challenge to America and Surviving the Bottom Line. For Black History month in 2000, he gave PBS viewers Duke Ellington’s Washington. A year later, he created Rediscovering Dave Brubeck, an intimate portrait of the legendary jazz pianist. In September 1999, after deadly violence at several U.S. public schools, Hedrick Smith Productions created a three-hour prime-time special, Seeking Solutions, that broke new ground by showing effective grass roots responses in six American communities to teen violence, gangs, street crime and hate crime.. This program won a national public service award from Sigma Delta Chi, the jouralistic honorar society. He subsequently led Frontline investigative reports – Bigger Than Enron, The Wall Street Fix, Tax Me If You Can, Is Wal-Mart Good for America? Spying on the Home Front, and Can You Afford to Retire? These programs probed accounting scandals, conflicts on Wall Street, corporate fraud and tax evasion, the collapsing private pension system, and data mining and domestic eavesdropping by the NSA and FBI. Making Schools Work, Mr. Smith’s two-hour special on education in October 2005, won a second national public service award from Sigma Delta Chi. In two previous series, Challenge to America in 1994 and Surviving the Bottom Line in 1998, Hedrick Smith Productions compared the performance of American schools with such other countries as Germany, Japan and China. Over 25 years, PBS viewers saw Hedrick Smith as a principal panelist on Washington Week in Review and as a special correspondent for The NewsHour with Jim Lehrer. Mr. Smith has received seven honorary doctorate degrees. He is well known as an effective speaker to college commencements, civic groups, business conventions, and lecture series nationwide, admired for cogent analysis and compelling story-telling. 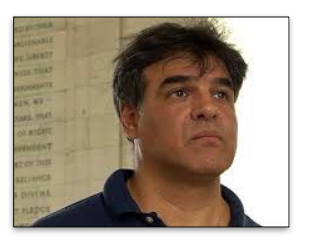 I am John Kiriakou. I was born into a Greek American household with first-generation parents who were teachers and who influenced me to excel in school and extracurricular activities that resulted in me expanding my education. My immigrant family taught me love of country and to this day, that upbringing has influenced all of my actions. I joined the CIA as an analyst in the Directorate of Intelligence, figuring I could use my education, use my fascination with international affairs, especially related to the Middle East, and be able to make a real contribution to the nation’s understanding of forces and influences beyond our shores. I told my story about my time with the CIA in my book, The Reluctant Spy, so those details can be found if you read the book. What transpired with my relationship to the CIA and the way the CIA dealt with the torture policy related to the events after September 11, 2011, is what has transformed my approach to Love of Country. We need change so that this great country survives and so the world is truly a safer and kinder place for our children to grow and thrive. As a result of my publicly confirming that the CIA was using torture tactics in their interrogation of prisoners captured that were seen as terrorists, I was sentenced to 30 months in prison. I was released on February 3, 2015. My time in prison gave me a perspective on the horrific conditions in prison, the unbalanced way people are treated by the so-called justice system, and the lack of transparency in our government. It was both the greatest and the worst experience of my life. I have been asked if I would do it all again. My answer to that question is an absolute Yes. From this point forward, I know my mission: I will be a Force for Change. Andrew Myles Cockburn, an English-Irish journalist who has lived in the United States for many years, is the Washington Editor of Harpers Magazine. Cockburn has written numerous books and articles, principally about national security. His most recent book is entitled Kill Chain: the rise of High-Tech Assassins, about political use of assassination. He has also produced numerous documentary films, principally in partnership with Leslie Cockburn as well as co-producing the 1997 thriller The Peacemaker, starring George Clooney and Nicole Kidman, for Dreamworks. After an early career in British newspapers and television, he moved to the United States in 1979. His film The Red Army, produced for PBS in 1981, was the first in depth report on the serious deficiencies of Soviet military power and won a Peabody Award. In 1982, he published the book The Threat – Inside the Soviet Military Machine (Random House), which examined the same topic in greater depth. He subsequently published many articles on the subject of U.S. and Soviet military power as well as lecturing at numerous military bases, foreign policy forums, and colleges and innumerable television shows. The collapse of the Soviet Union, and subsequent revelation that his analysis of the Soviet military had been correct rendered his subject otiose. He then began covering middle eastern subjects, including the 1991 documentary on the after-effects of the first Gulf war, The War We Left Behind, which he co-produced for PBS with Leslie Cockburn. In 2009 he and Leslie Cockburn produced American Casino, a feature-length documentary on the Wall Street crash. New Yorker critic David Denby called it “A terrific documentary… Everything is connected: the movie embodies chaos theory for social pessimists.” Apart from his books he has written for National Geographic, Los Angeles Times, The London Review of Books, Smithsonian, Vanity Fair, Harper’s Magazine, CounterPunch, Condé Nast Traveler, New York Times, and the Dungarvan Observer. He is currently Washington Editor of Harper’s Magazine. In 2007, Cockburn wrote Rumsfeld: His Rise, Fall, and Catastrophic Legacy (subtitled An American Disaster in the UK edition). In the New York Times, reviewer Jacob Heilbrunn called it “perceptive and engrossing.” He is also known for writing “21st Century Slaves” for National Geographic. It was a groundbreaking article that shed light on the practice of modern-day slavery. Ambassador Pamela A. 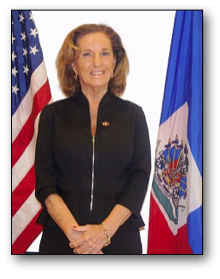 White was officially sworn in as Ambassador to the Republic of Haiti on July 18, 2012. Previously, she served in Haiti from 1985-1990. Ambassador White previously served as Ambassador to The Gambia from 2010-2012. Prior to this role she served as Mission Director for United States Agency for International Development (USAID) in Liberia where she managed USAID’s second largest development budget in Africa, averaging over $200 million a year. Ambassador White holds the rank of Career Minister. She has over 35 years of experience from serving mostly in Africa where she began her public service as a Peace Corps Volunteer in Cameroon (1971-1973). Ambassador White joined the U.S. Agency for International Development (USAID) in 1981 after several years of work in education and research. At USAID Ambassador White has served as: community liaison officer in Burkina Faso, Deputy Director Executive Officer in Senegal and Haiti and Executive Officer in Haitian, Egyptian, and South African missions. As Deputy Director for East Africa in Washington, D.C., she coordinated the delivery of much-needed food to Ethiopia and Eritrea, helped to develop a six-year Ugandan strategy, and oversaw the expansion of programs in the Sudan and Congo. In Mali, Ambassador White’s work as Deputy and Mission Director for USAID is credited with tripling the number of girls in primary school, increasing the number of elected women leaders by 200 percent, and doubling the percentage of children receiving vaccinations. For her extraordinary work she was awarded the highest decoration given to foreigners, the Knight of the National Order of Merit (Ordre national du Mali). She is one of four Americans who share in this honor. Following her work in Mali, Ambassador White was appointed Mission Director in Tanzania where she managed a $130 million aid program focused on HIV/AIDs prevention, malaria control, primary education, conservation of natural resources, and control of corruption. Ambassador White, a native of Auburn, Maine, studied at the University of Maine and the School for International Training where she earned a Master’s Degree in International Development. In 1999, she graduated from the Industrial College of the Armed Forces. In May 2012, she received the Medal of Honor from The Gambia, one of the only foreigners to ever receive this award. Ambassador White is married to a member of the U.S. Foreign Service, between them, they have four grown children. 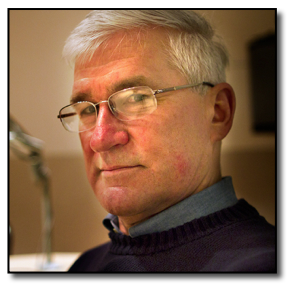 Andrew J. Bacevich is Professor Emeritus of International Relations and History at Boston University. A graduate of the US Military Academy, he received his PhD in American Diplomatic History from Princeton University. Before joining the faculty of Boston University, he taught at West Point and Johns Hopkins. Bacevich is the author of the forthcoming book, America’s War for the Greater Middle East: A Military History [Random House, April 2016]. 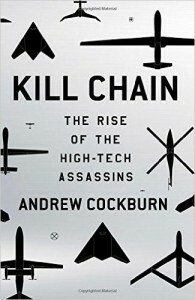 His earlier works include Breach of Trust: How Americans Failed Their Soldiers and Their Country (2013); Washington Rules: America’s Path to Permanent War (2010); The Limits of Power: The End of American Exceptionalism (2008); The Long War: A New History of US National Security Policy since World War II (2007) (editor); The New American Militarism: How Americans Are Seduced by War (2005); and American Empire: The Realities and Consequences of U.S. Diplomacy (2002). His essays and reviews have appeared in a variety of scholarly and general interest publications, including The Wilson Quarterly, The National Interest, Foreign Affairs, Foreign Policy, The Nation, and The New Republic. His op-eds have appeared in the New York Times, Washington Post, Wall Street Journal, Financial Times, Boston Globe, and Los Angeles Times, among other newspapers. 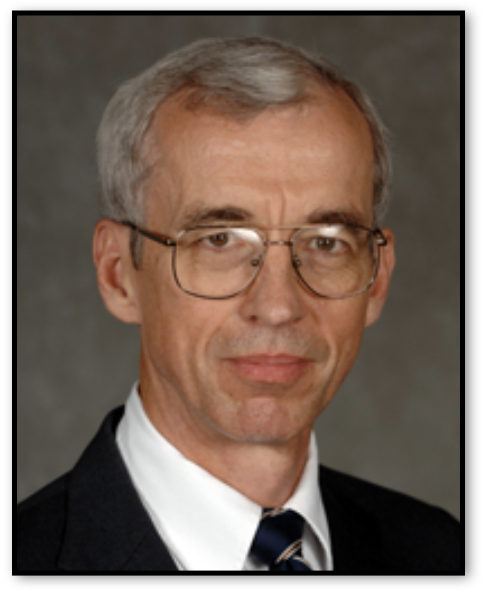 In 2004, Dr. Bacevich was a Berlin Prize Fellow at the American Academy in Berlin. He has also held fellowships at the Paul H. Nitze School of Advanced International Studies, the John F. Kennedy School of Government, and the Council on Foreign Relations. Topic: Saudi Arabia: Reliable Ally? Topic: Regime Change in Venezuela?